Lumbar spine MRI is an advanced diagnostic test that can accurately image the skeletal backbone, spinal discs and other tissues in the vertebral column, including the spinal cord, ligaments and muscles. MRI evaluation is the best most patients can hope to receive for lower back pain problems, since the test allows doctors the chance to view the spinal anatomy in vivid detail without exploratory surgery. We routinely recommend that patients who have access to coverage should request MRI testing. While MRI is a wonderful technology, it is not perfect. In fact, there are many aspects of magnetic resonance testing that are problematic and even dangerous for some patients. MRI is certainly a tool that can be used for both good and bad intentions in the back pain treatment sector. This interesting dialog explores the use of MRI testing for lower back pain concerns. We will provide an overview of the test and what it hopes to accomplish. We will also caution patients on the negative factors associated with MRI evaluation in order to keep them safe, healthy and free from medical exploitation. Magnetic resonance technology can see inside the body in an unrivaled manner. The test can provide ultra-clear images of the various bodily structures in the lumbar spine and how these tissues interact with one another. Images will usually be taken from multiple perspectives, including coronal, sagittal and axial views. MRI can image all the structures of the spine, including the vertebrae, intervertebral discs, spinal ligaments, spinal cord and a diversity of other important tissues. 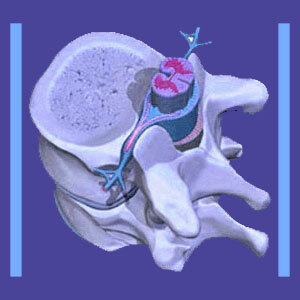 The test can evaluate the overall condition of the backbone, as well as the state of each individual component. Typically, the test will examine the entire lumbar spine, even when symptoms seem to point to a specific region or vertebral level. Many patients will undergo more than one MRI test in multiple areas of their spine, with the thoracic region also being closely related to some patient complaints. We regularly recommend that many patients seek cervical MRI studies, as well as lumbar examinations for lower back and sciatica pain problems. This is due to the common incidence of central cervical stenosis being responsible for many patients’ complaints, with any lumbar structural discoveries being incidental. MRI is usually recommended and prescribed for cases of severe or chronic lower back pain. The test is time consuming, taking between 15 to 45 minutes to complete, on average, and is expensive. Doctors need to justify their prescription in order for health insurance plans to cover the evaluation. The patient can usually choose between traditional MRI and open MRI. The traditional version of the test requires that the patient lie motionless in a narrow tube while the noisy machine examines their anatomy from the inside out. Open MRI does not require that the patient be in a reclined position and does not require them to be surrounded by a claustrophobic environment. However, open MRI is not as detailed and does not provide the same high quality pictures as closed traditional MRI. Lumbar spine MRI provides excellent images, but the technology can not make any diagnosis. In order to achieve a diagnosis, the images must be studied by a human radiologist who will provide an opinion on the films and the tissues imaged therein. Opinion is the very crucial word here, indicating a high degree of subjectivity in what verdict will be pronounced to explain the patient’s pain. Radiologists are supposed to annotate structural abnormalities, but some go far beyond this and speculate on the irregularity as being the source of pain in their report. This is not typically proper medical etiquette and is often completely incorrect. Science has shown that most structural abnormalities are not the source of pain, as long as they lack definitive pathological components. Doctors even learn in medical school that “atypical structure does not accurately predict pain”. However, once annotated, the patient will certainly receive a nocebo effect from anything that sounds frightening or is theorized to be the cause of symptoms. Radiologists, and physicians in general, enjoy a wide expanse of freedom when it comes to diagnostic evaluation. Some doctors are very objective and have their eye out for the patient’s best interests. These doctors are unlikely to indicate any abnormalities as being spinal problems unless these issues can be verified as being pathological. They will merely mention that some abnormality was located, but does not seem to be causing any problems in the spine. However, other doctors take every opportunity to frighten and intimidate patients into treatment, due to strong financial incentives. They might be Cartesian-obsessed, insisting that any type of structural change is inherently painful. They might simply be taking advantage of old medical mythology to convince patients that treatment is required, when there is no objective evidence of any spinal pathology. We see this continuously in the lumbar dorsalgia therapy arena, with millions of patients being placed into expensive and often dangerous care for what amounts to completely normal age-related disc degeneration and herniation, spinal osteoarthritis and mild degrees of expected spinal and foraminal stenosis. Be warned that not all doctors are objective or have your best health interests in mind. Find one that is and does. If not, your lumbar spine MRI will become just another in a series of tools designed to damage you all for the sake of the almighty dollar.